" I have been selling on eBay for 19 years. I started using inkFrog 1.5 years ago. inkFrog helps me with selling on because I am able have my employee go in and create draft listings for me. Then I can go in and review the listings and schedule them to post so that I have listings post constantly throughout the day. I also love the photos editor on inkFrog. I use it to give my photos that crisp white background that ebay and Google shopping love and recommend. I am able to pull listings in directly from my Shopify store and create my listings and everything syncs together between my eBay store and my Shopify store. inkFrog is really the backbone in managing my business. It has allowed me to grow my business because it is so easy to manage it through inkFrog and it has allowed us to grow into a wholesale fashion business now." 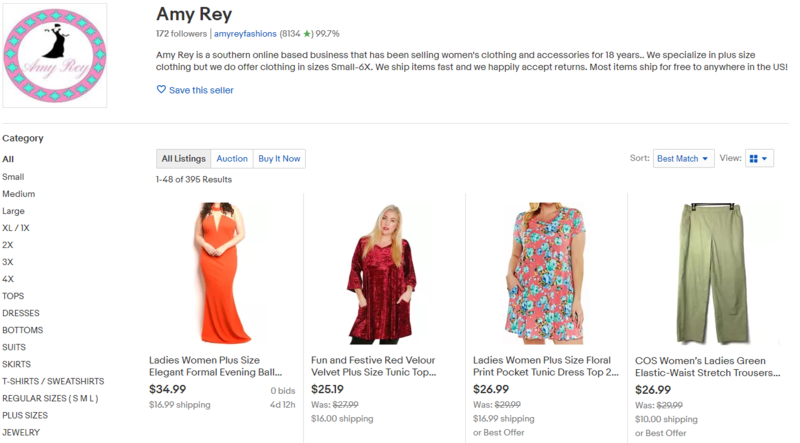 Amy Rey uses inkFrog's Shopify store connector to push her inventory from Shopify to eBay. When an order comes in the details are forwarded to her Shopify store.